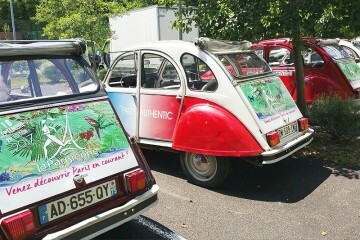 Use the strong visual impact of the 2CV for your promotional campaigns. The Cocorico design (blue, white and red) of our 2CVs draws attention more than all other vehicles. Reason is everyone loves the 2CV ! The 2CV used a communication channel will bring every public together.